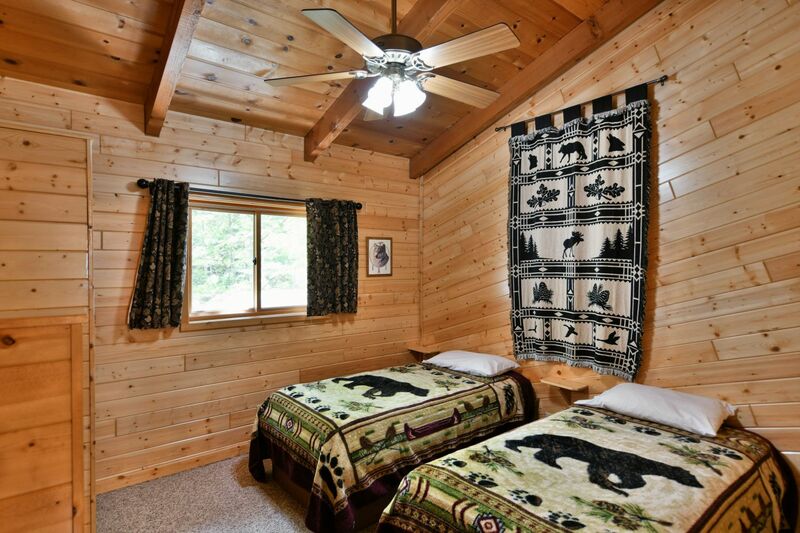 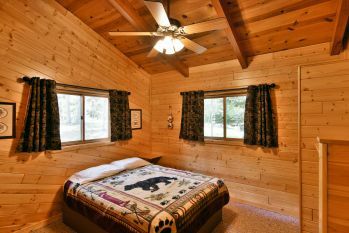 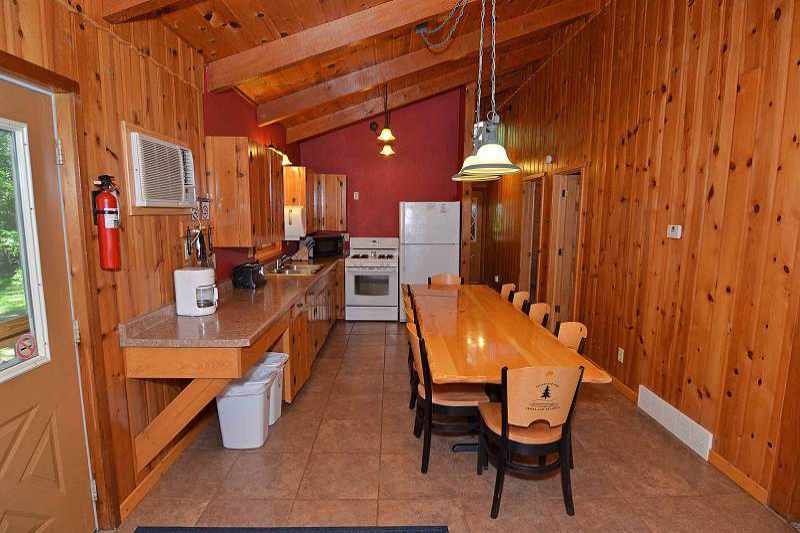 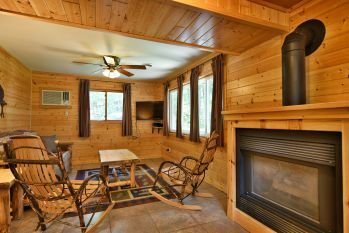 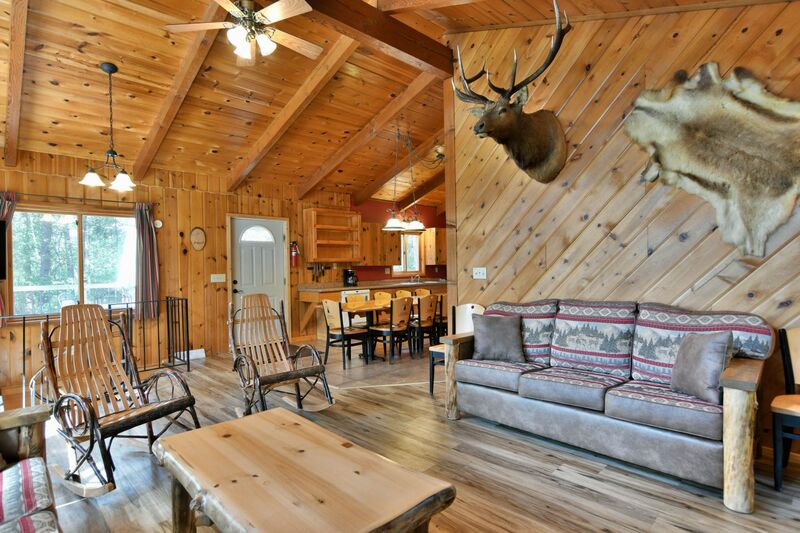 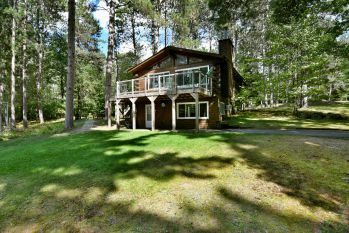 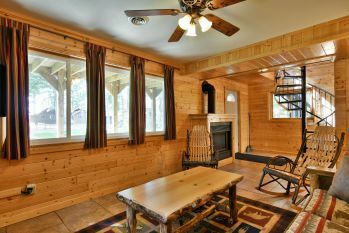 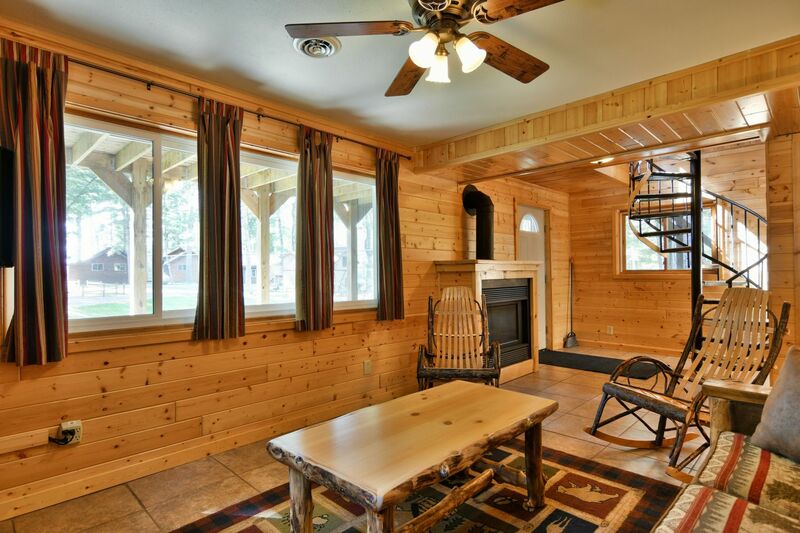 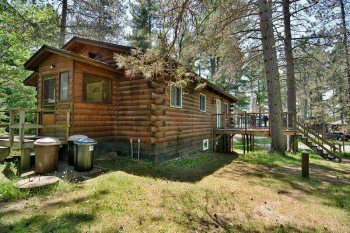 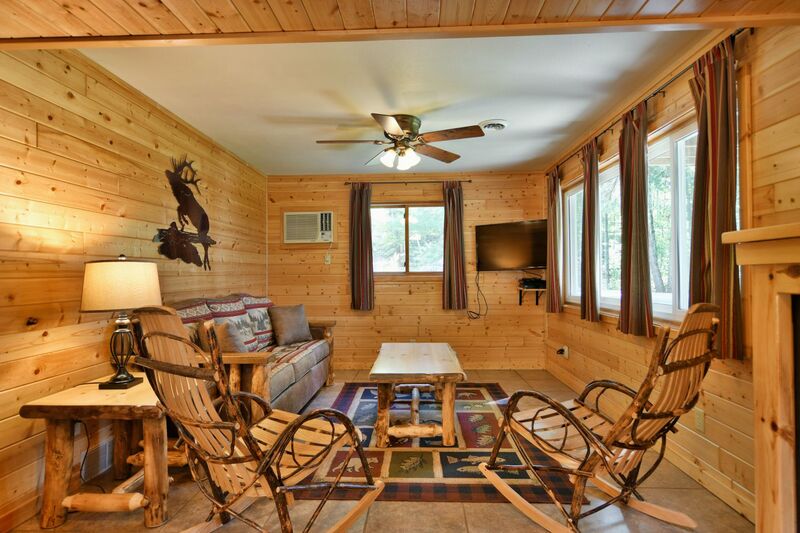 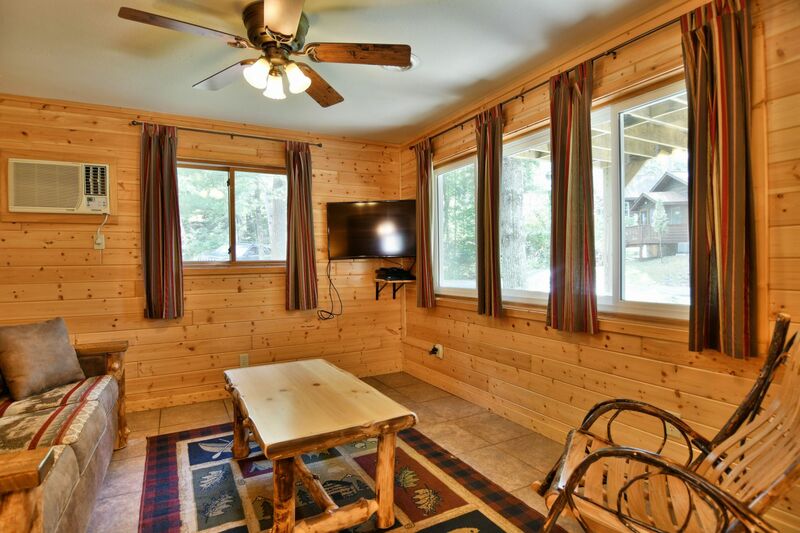 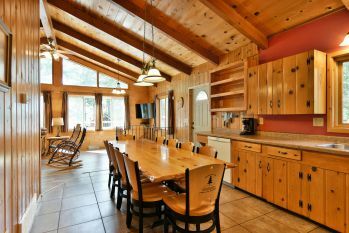 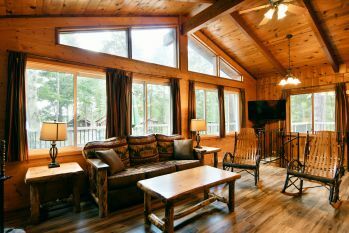 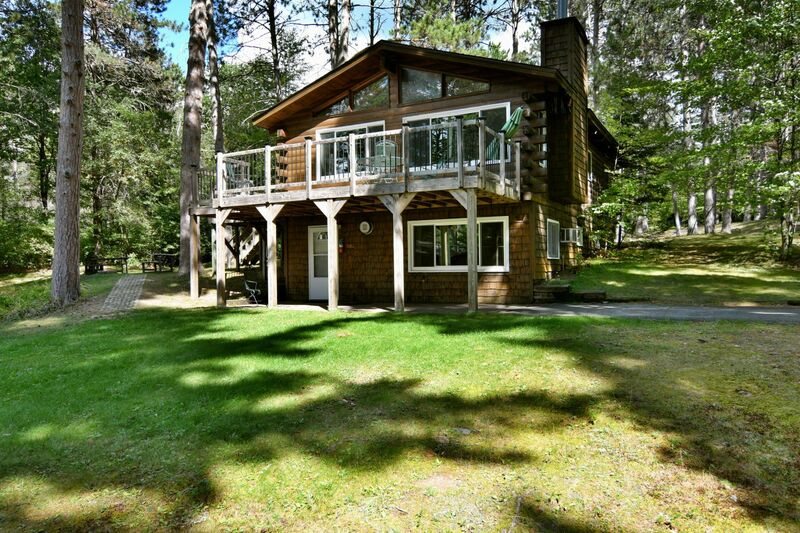 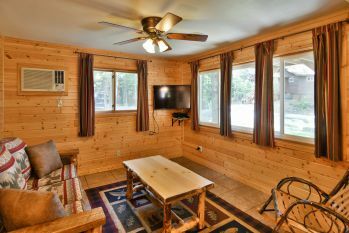 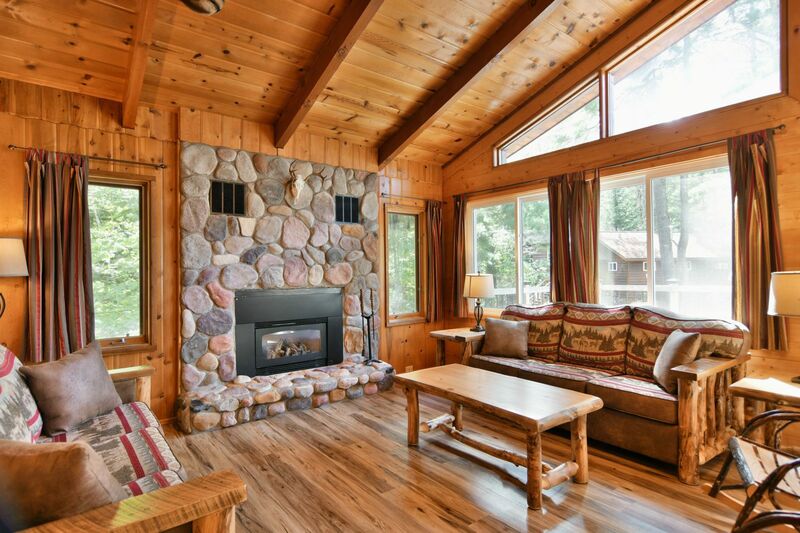 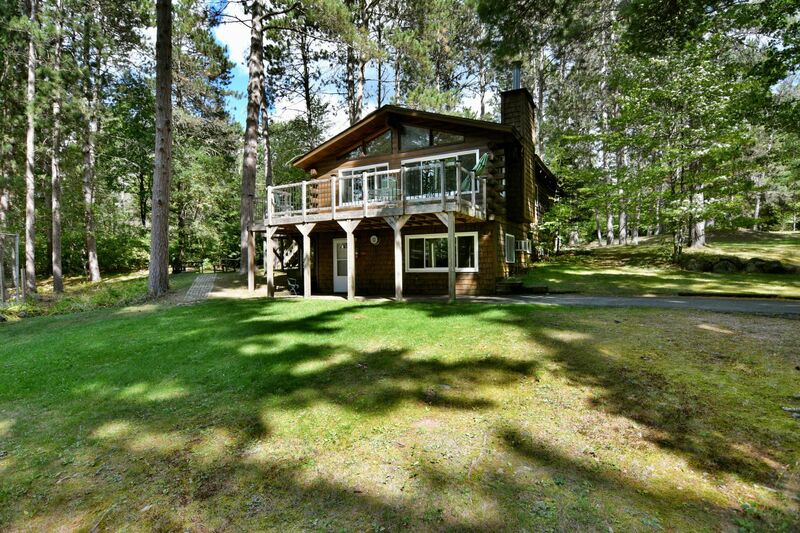 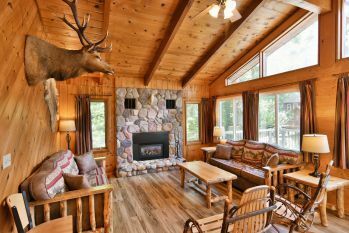 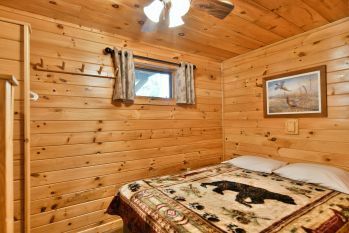 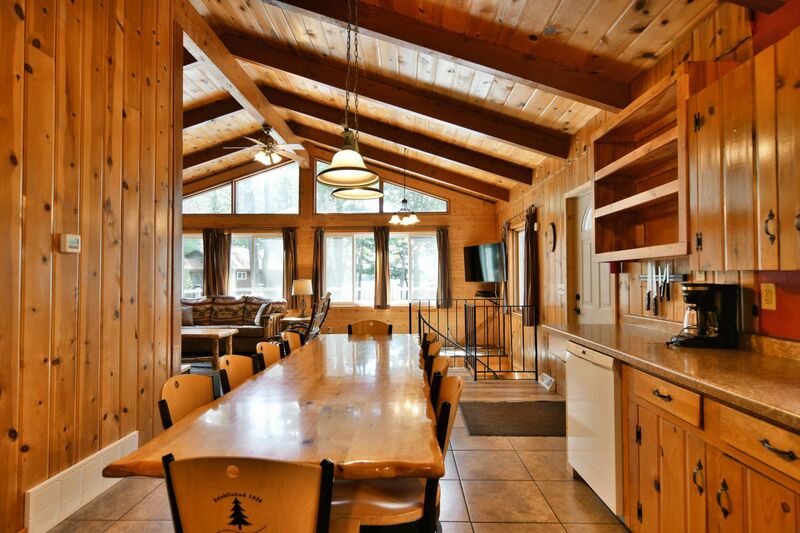 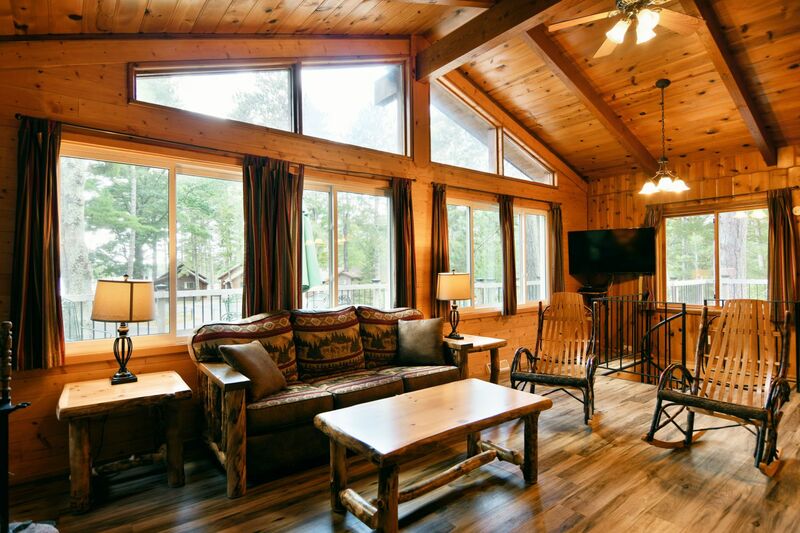 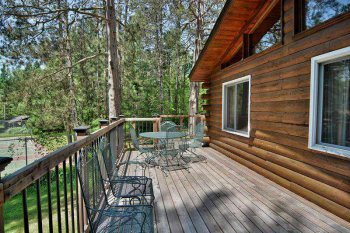 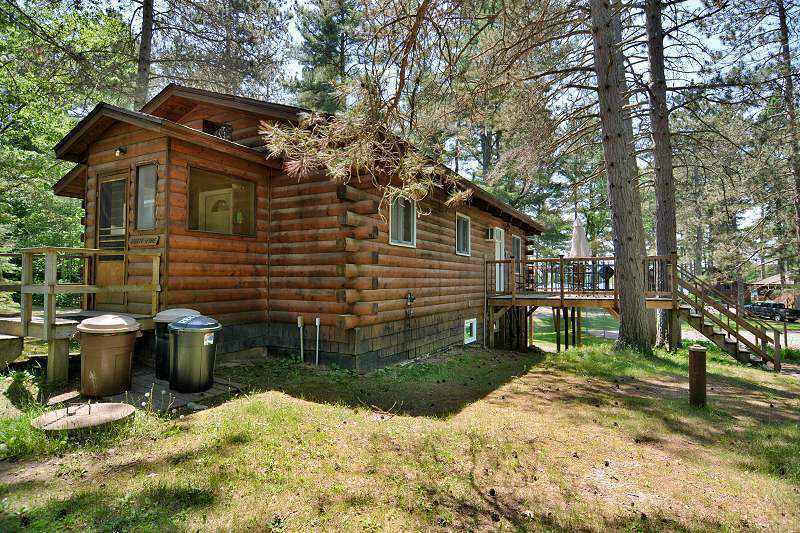 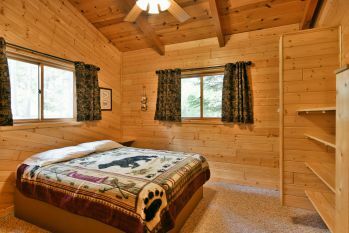 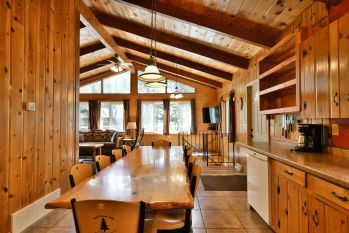 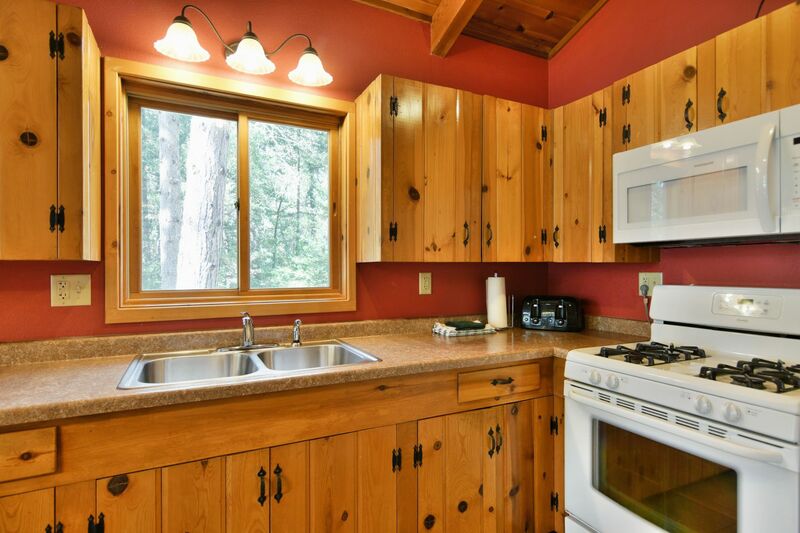 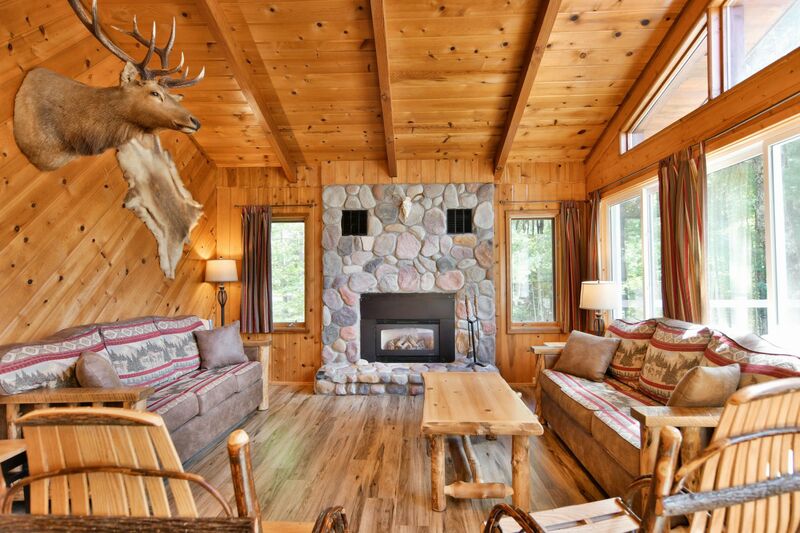 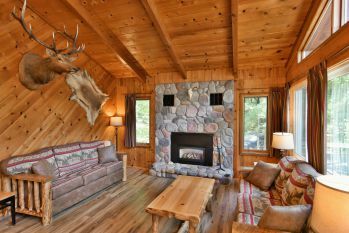 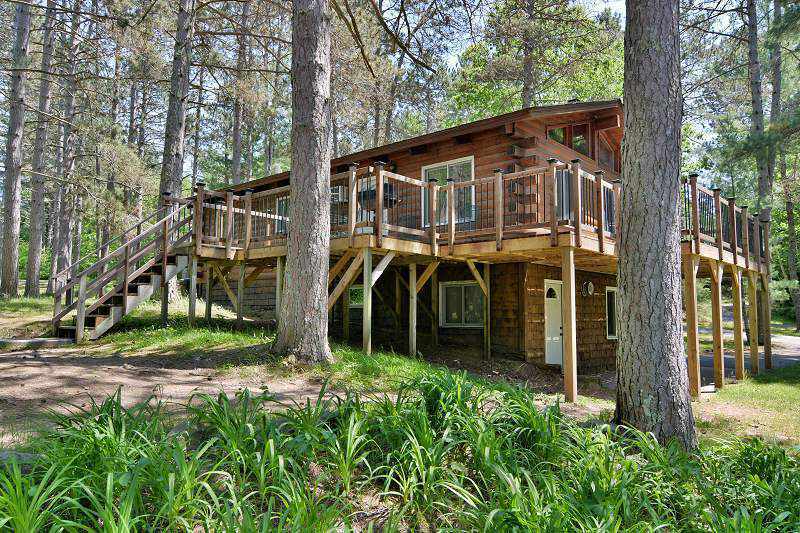 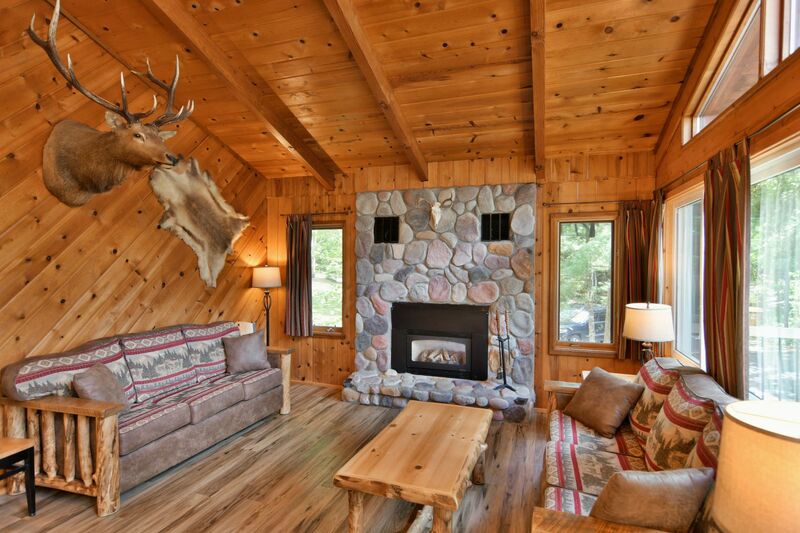 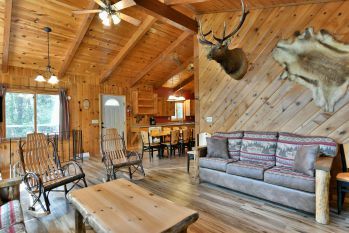 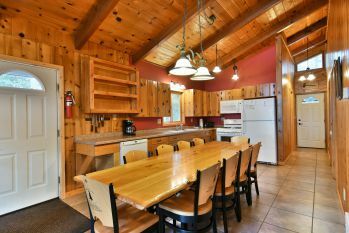 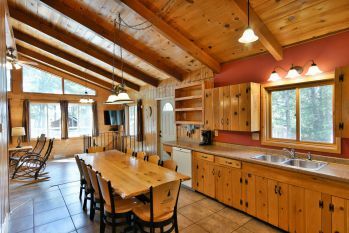 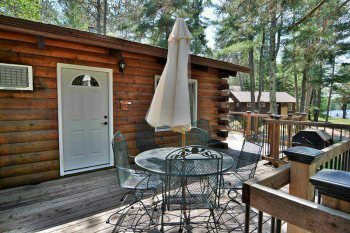 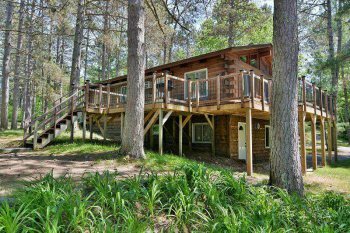 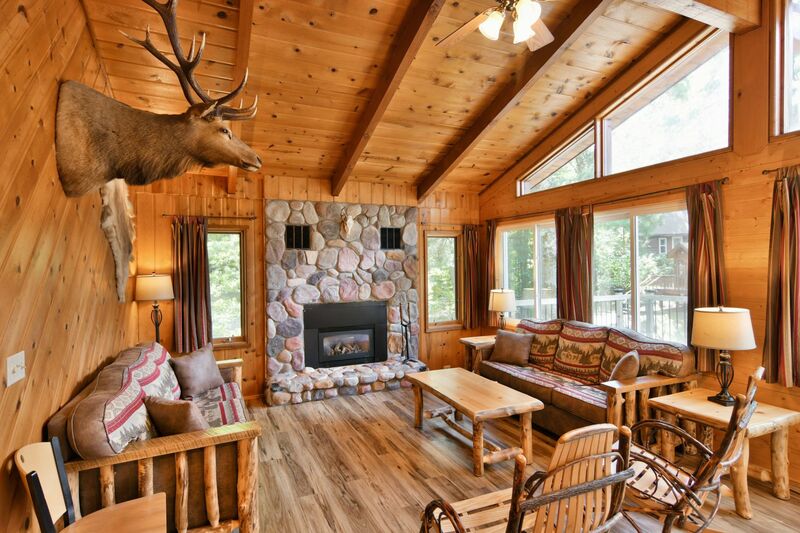 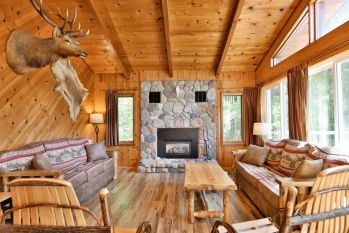 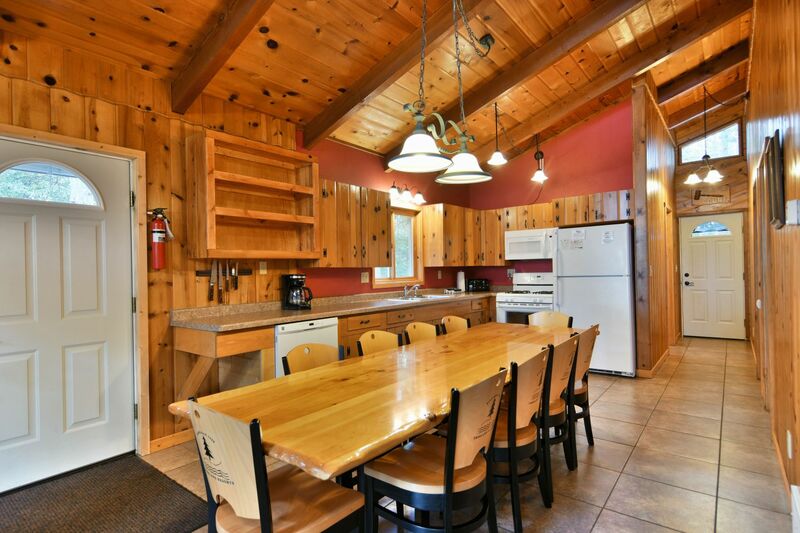 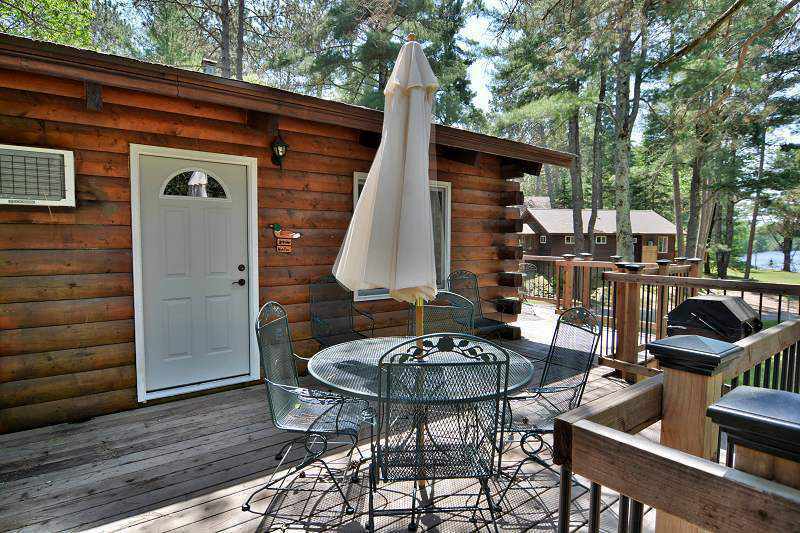 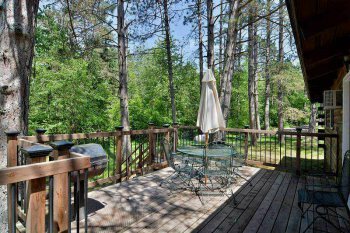 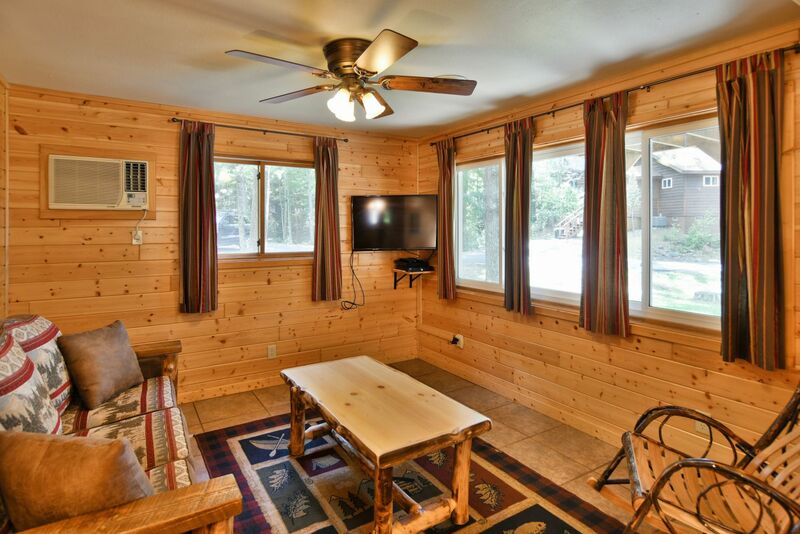 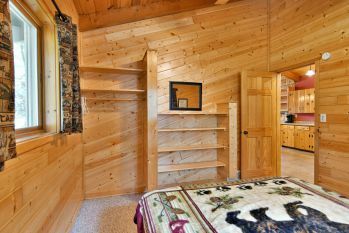 This is the largest cabin our resort has to offer, with its 5 large bedrooms, 2 full baths, big kitchen and 2 living rooms with fireplaces and Flat screen HD TV's, with 100+ channels Dish Network TV. 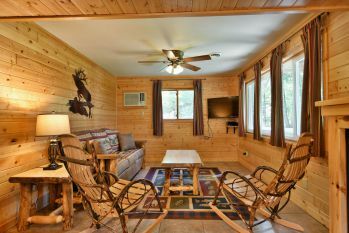 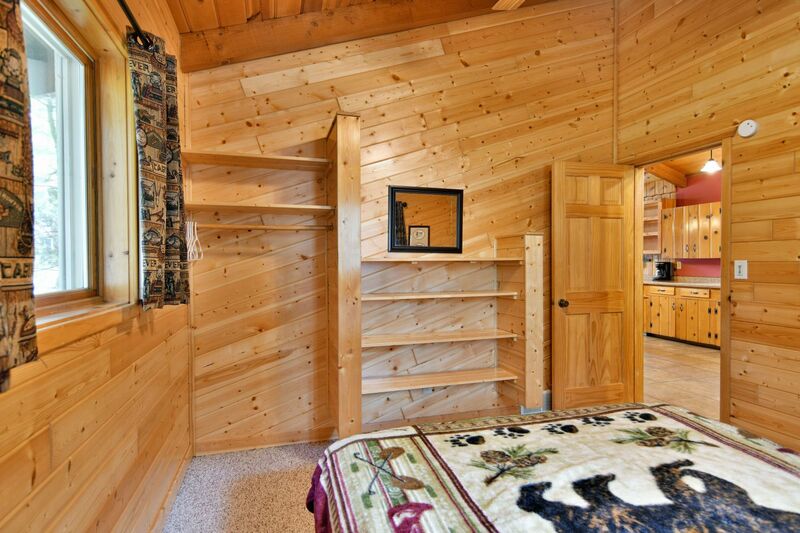 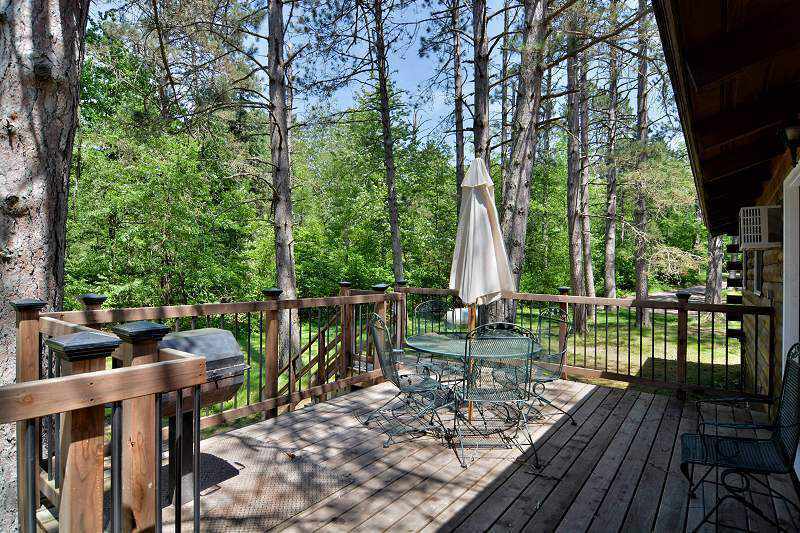 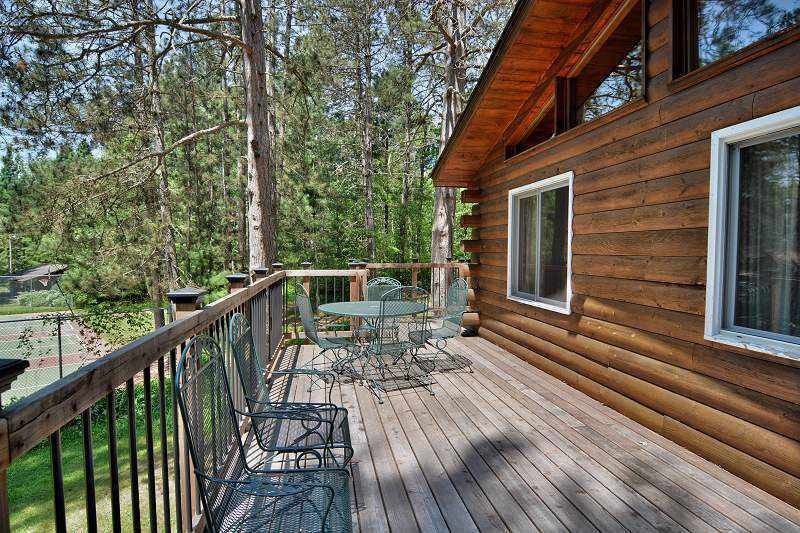 The whole family or fishing group will have lots of space for relaxation. 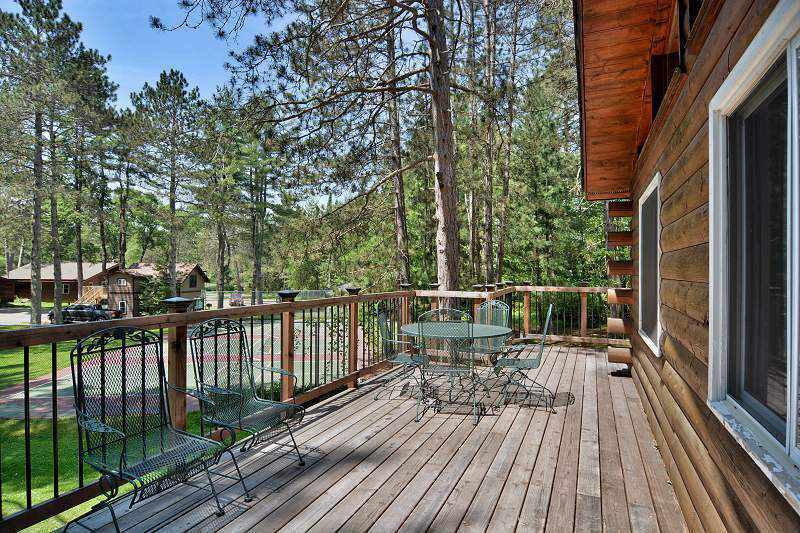 If it's playtime, walk out the door and play a rousing game of tennis or basketball just a few feet away.